As a Faith Mission we depend upon your donations thank you very much for your help and prayers both for Gospel Outreach International and for those who are lost. A donation of $2.00 per 25 and $8.00 per 100 is requested except where noted. A 10% discount is given for a tract order over 500. Please for more information. Click on any image for a larger view. How a priest of “political Rome” Babylon, saw the doctrines of Mary, Purgatory and others as inconsistent with Scripture. He saw how politics were more important than eternal salvation. These caused him to come to Christ. A priest of 25 years is convicted over the preaching of Mary obtaining the favor of salvation from Jesus for us. He asked his Bishop many pointed questions concerning the power of Jesus and Mary before coming to Christ. Her faith in the Sacraments, especially the Eucharist, was shaken when she began reading the Bibles account of the once and for all finished sacrifice of Christ who has paid for all her sin. By grace alone and not good works Christ saves sinners. 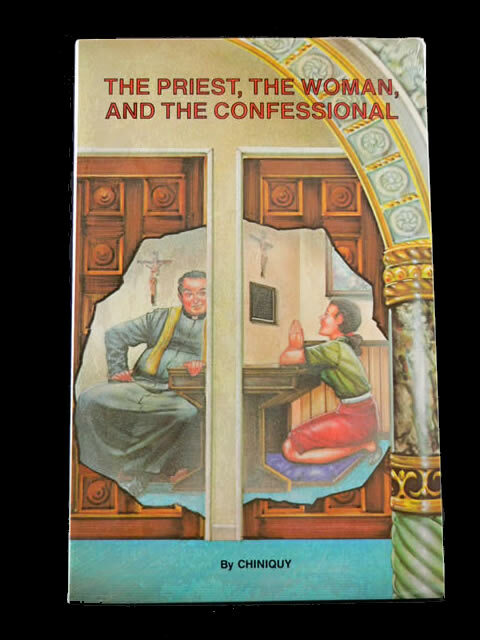 Detailed 16 page testimony of the struggles of a priest with the Gift of Salvation, Mary our Advocate, The Word of God and Obedience to the Authority of the Church. These things led him to the Gift, Jesus Christ our Saviour. 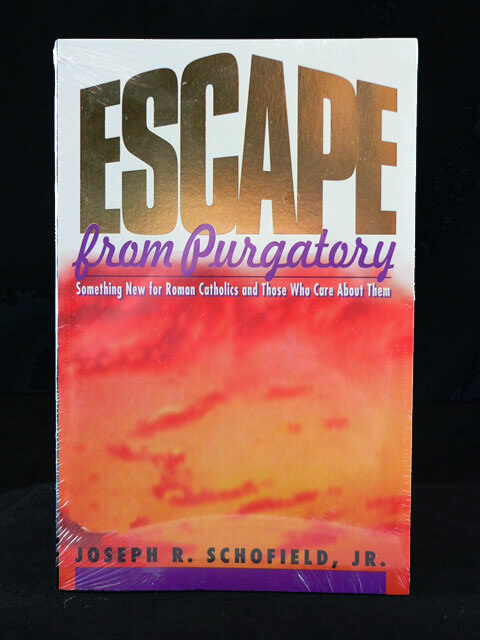 Questions about Purgatory drove him to the Scripture which gave him more questions on Eternal Security, Christ’s Finished Sacrifice and Confession that the Seminary priests could not answer. For 8 hours a Pastor Biblically answered his questions, he was saved. A Church Historian with a degree in Theology saw that history did not always agree with Catholicism. Church teachings of the Mass, 14 Stations of the Cross the Assumption of Mary and more were inaccurate. In the reading of the Bible he found the Joy of Salvation. Devout Catholics with a daughter in Convent and son in Seminary they wondered what God had for them. They read the Bible, investigated religions and realized that Scripture is all about Christ, Religion and Salvation should be about Christ as well. The family all came to be saved. After hearing Bible preaching on the radio he began to question why Indulgences were sold and why the Sacrifice of the Mass was continual when Christ’s finished sacrifice paid for all sin. With Bible study he saw many Catholic doctrines for what they were, false. 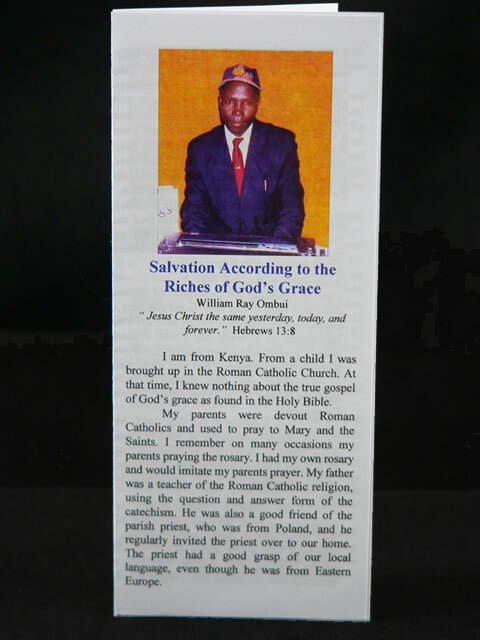 10 years a priest in Africa he was convicted by the indecent life style of priests he knew. He studied the Scripture to find holiness he found: don’t call the priest father, there is one mediator between God and man and Salvation is by the riches of God’s grace. 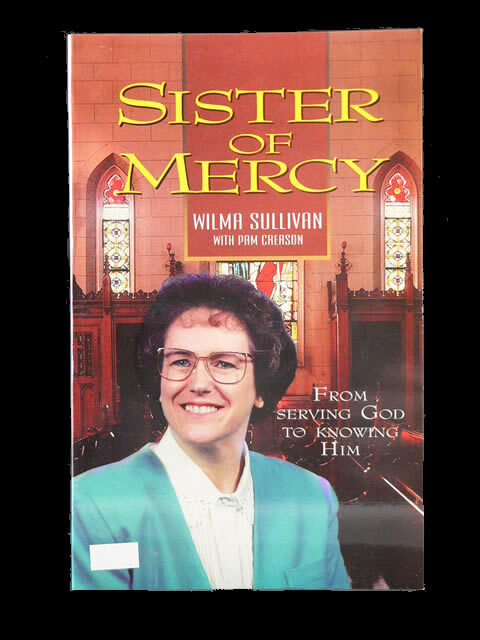 As a Sister of Mercy she was taught to do good, attend Mass and help others. She believed that good works would help her earn heaven until she heard the plan of Salvation while waiting for surgery. 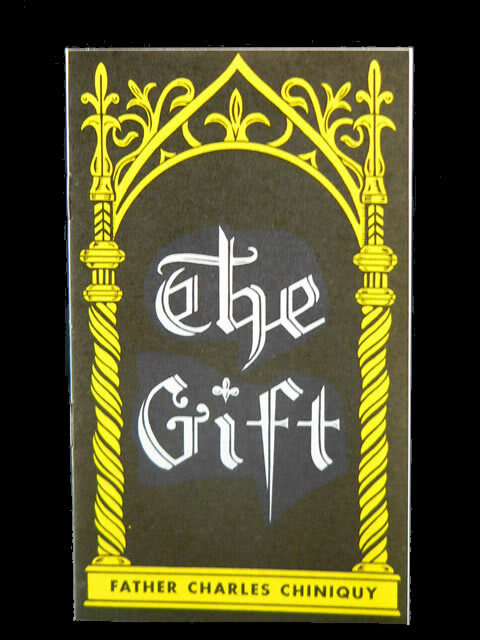 Coming under conviction she received the gift of eternal life. Buried alive in a battle of WWII, only he and one other survived, it convinced him of God’s grace. He realized he was a Christian in name only and began studying John 3 “Ye must be born again.” He lost everything resigning his office of Bishop but he gained Christ eternally. Devotion to Mary and the Saints was a part of Convent life; with it came repetitious prayer before Statues. 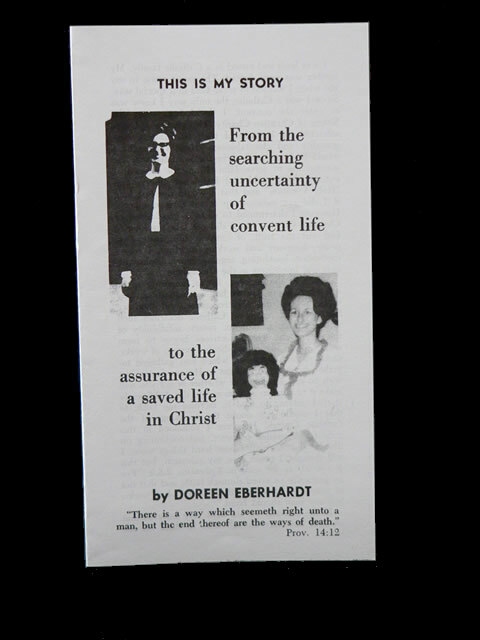 Doreen was trying to work and pray her way to heaven until she learned Rom 6:23 “the gift of God is eternal life” which can be found only in Jesus Christ. A hostile letter is answered in a gentle yet detailed way explaining that Mary is not our intercessor nor did she die for our sin. 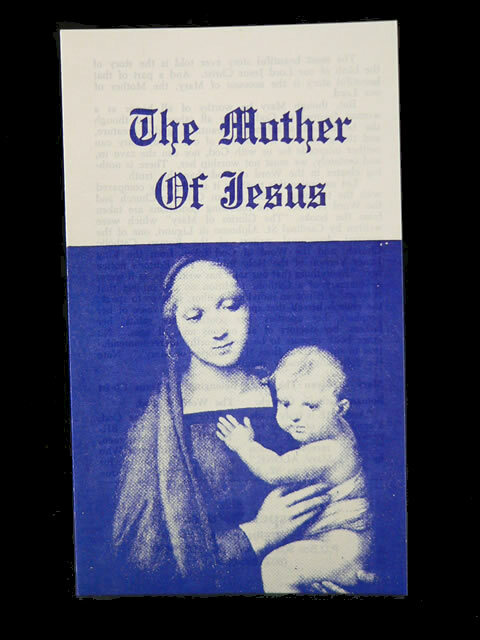 This tract is one of the kindest and clearest explanations you will find on the subject of Jesus and Mary. For Catholic’s reaching Heaven is a progression of steps, holiness, Sacraments, good works, prayer etc. all help along their journey. 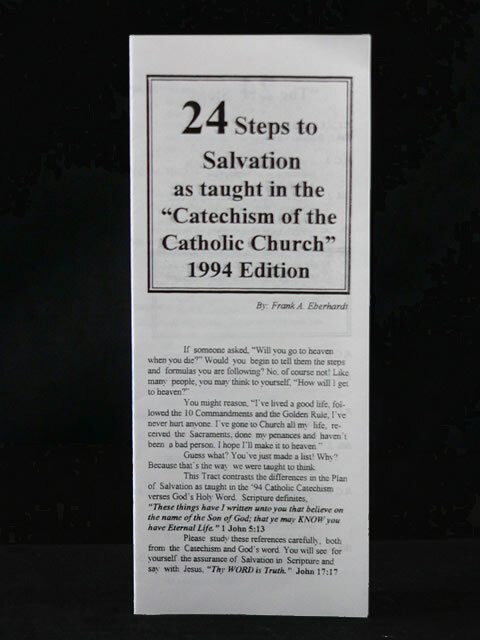 This tract organizes these steps into 24 segments followed by Catholic people and gives you Scripture to teach them the Truth. At the 85th General Congregation of the Vatican Council of 1870 when the doctrine of Papal Infallibility was proposed for a vote; Bishop Strossmayer delivered a Historic address proving by the lives of the Popes themselves that this doctrine is false and would lead to further abuses in the Church. 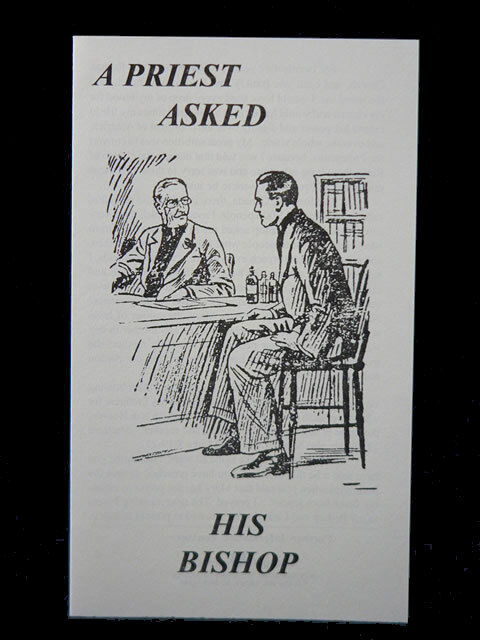 Many frank questions about sin and sins payment, penance, good works, Holy Eucharist, Baptism, Confession and the Church. 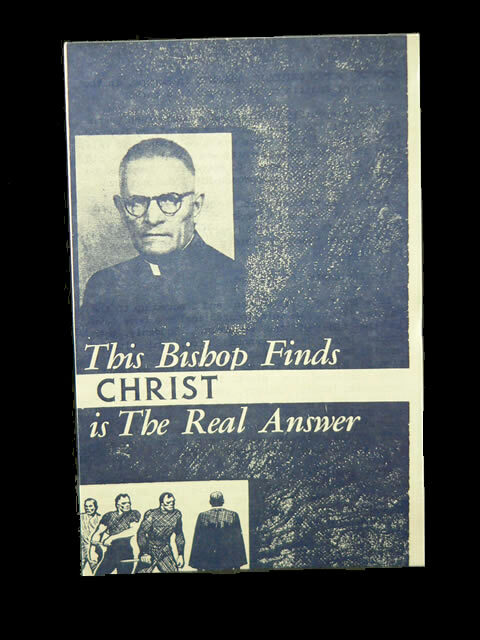 All lead to the only conclusion possible that the answer is found in Christ not the Church. Bible Studies on Catholic doctrine as he wrote about the topics of the Mass, Celibacy, Mary Queen of Heaven, Peter, Statues, Purgatory, Confession, Tradition, Prayer for the Dead, Salvation, Priests and the Pope. Keep this in your Bible and use it to witness. 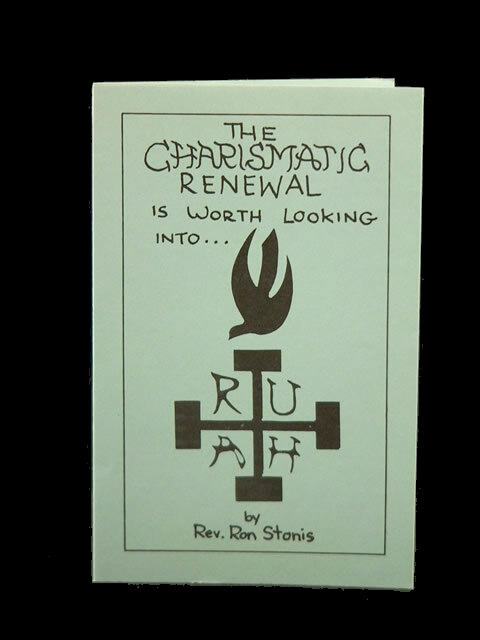 16 areas of the Charismatic Renewal are examined, including Tongues, Receiving the Holy Spirit and acceptance of all those of different doctrines and beliefs who claim to have gifts. A good expose’ and Gospel presentation that is worth looking at. This tract deals with Peter and Christ who is our True Rock and Corner Stone. Thou art Peter and binding and loosing are scripturally explained. Truth needs a strong foundation and there is non other foundation stronger than Jesus Christ. A comparison of what Catholicism and the Bible have to say about Purgatory. Zacchello shows that the Catholic Bible contradicts the doctrine through the perfect atonement of Christ, eternal security and Christ’s vicarious payment for all sin. A good witnessing tool. 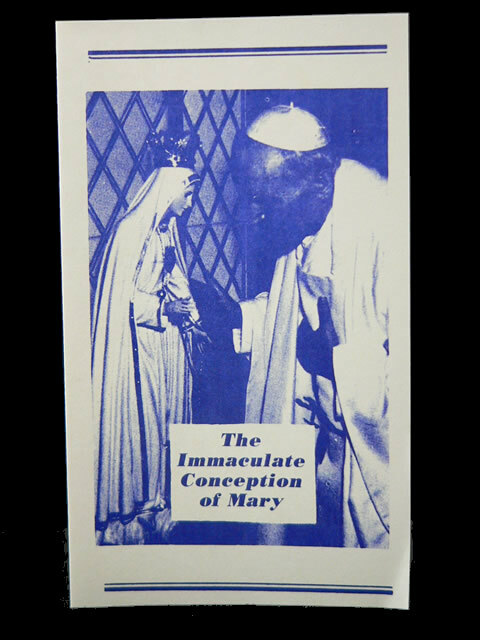 December 8, 1854 Pope Pius IX defined the dogma of the Immaculate Conception concerning Mary. This is not the Incarnation concerning the birth of Christ. 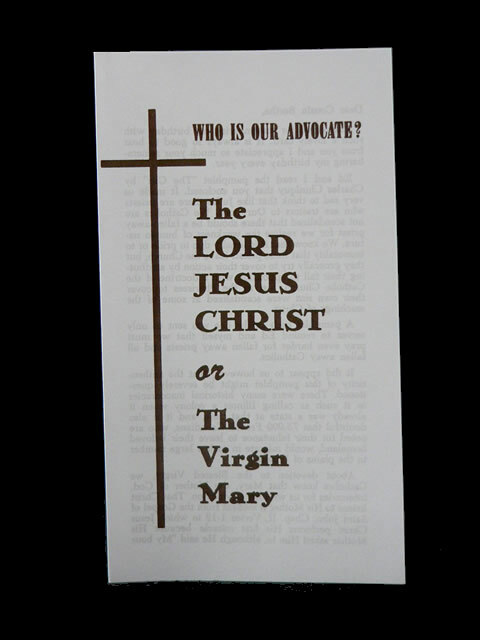 Quoting from Scripture and Catholic sources this tract proves that ever Mary was a sinner whose Saviour was Jesus Christ our Lord. Is Rome Really The Oldest Church? Is She Merely An Old Church? The church of the New Testament, The Bride of Christ has little semblance to the Holy Roman Catholic Church of today. Scripture has no Papacy, hierarchy or primacy in fact they condemn them. Good Biblical and historical arguments refuting the claims of Rome. 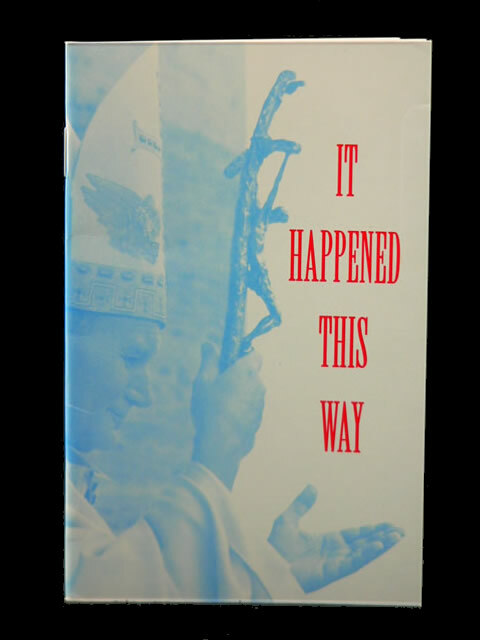 Well written and engaging this 23 page booklet style tract describes in a narrative format the actual beginnings of Roman Catholicism. It is logically done and makes the reader think and compare what they have heard and what history really says. 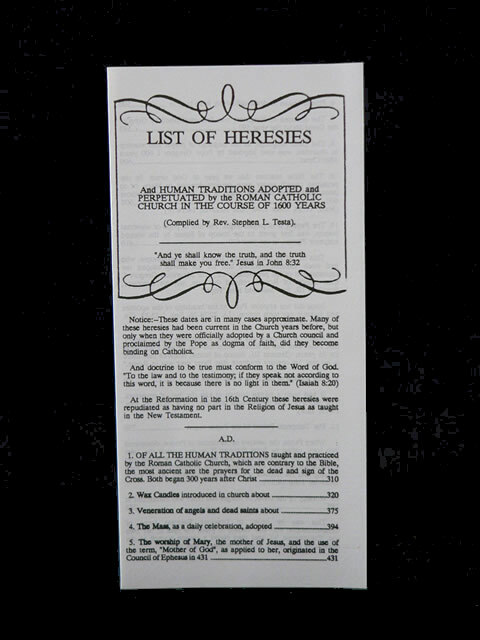 List Of Heresies and Human Traditions Adopted and Perpetuated by the Roman Catholic Church Over 1600 Years. Dates and Biblical contradictions to traditions like the Veneration of Angels, Holy Water and the Scapular are given for 40 topics. The dates tell when Catholicism adopted these heresies and the Scripture explains how to refute them. Since the Council of Trent the teaching of the Mass has been settled. 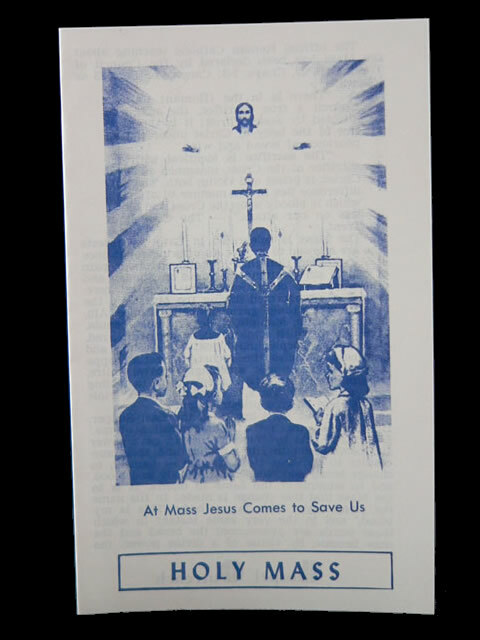 This tract gives the official definition and disputes through Scripture, the physical presence and continual sacrifice of Christ as taught by Catholicism. It is comprehensive and compassionate. The truth of the Incarnation (God among us born as a baby) is diminished by the elevation of Mary to a co-equal position with Jesus. Scripture is compared to the teachings of Catholicism and we see the truth of Jesus our Lord and Saviour and Mary a Christian obedient to God. Seeking divine favor in another person, such as the Pope, can bring unexpected results. 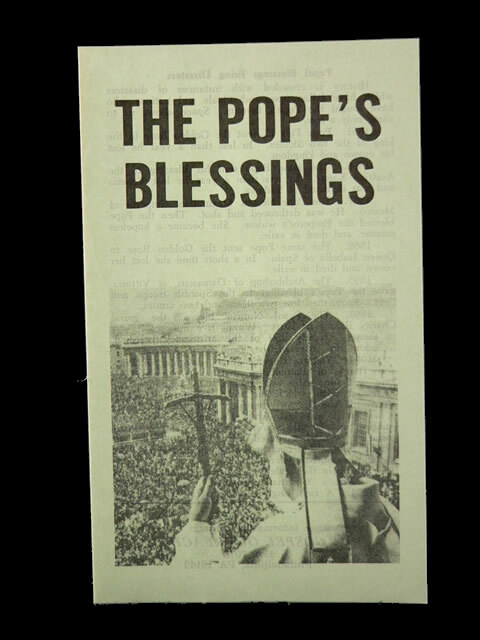 Listing 15 occasions when the Pope has given his blessing and disaster ensued you learn that we should glorify and serve God rather than men. Praise God from whom all blessings flow. 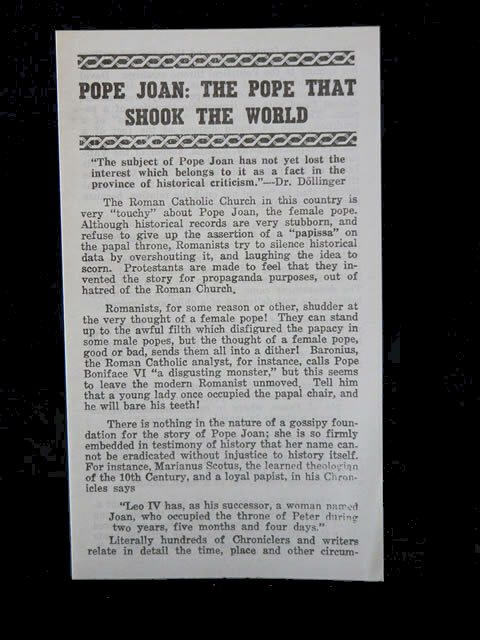 The claims of Papal infallibility, title deed list of Popes and the superintendence of the Church by the Holy Spirit are shattered through the revelation of a female pope in 855A.D. History is irrefutable, we need to agree with Scripture that Jesus is our only head. 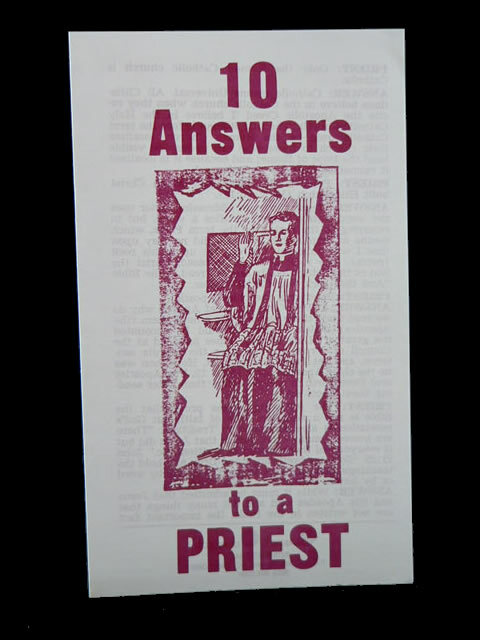 With a question and answer format this tract teaches the Scriptural truth about the subjects of: the Mass, Purgatory, Confession to a priest, Matt 16:18 and Peter, the Pope, Prayers to Mary and the Saints and the Infallible Scriptures the Word of God. 7 of Rome’s most well taught doctrines are examined in the light of Scripture. It becomes clear that God’s Word speaks without confusion; you are lead to make the choice to follow God not men. 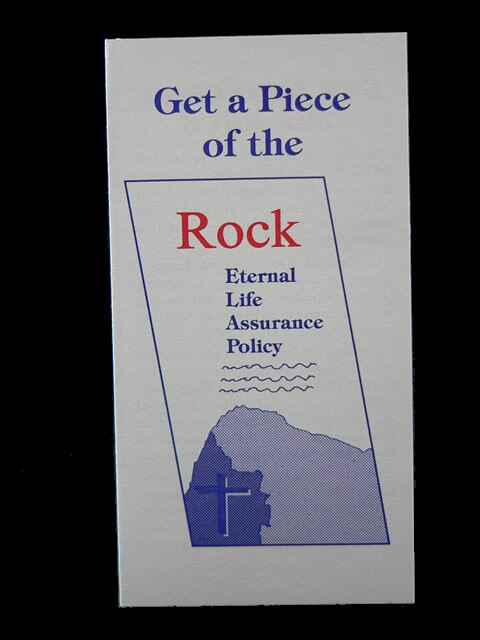 In this tract you have a thorough explanation showing that Jesus is the Rock, corner stone, foundation, and chief corner stone. A good exposition of Matthew 16:18 is given which leads to an invitation to be saved. 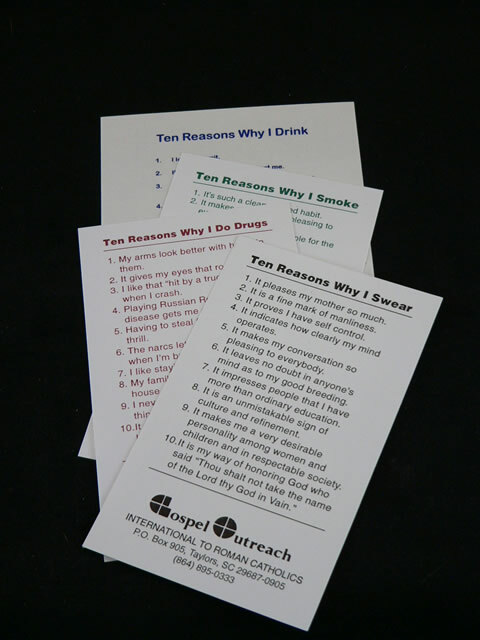 *The “10 Reasons Why I ...” tracts were designed to illustrate by absurdity the true nature of Drugs, Drinking, Smoking and Swearing. The first common reaction is that recipients will often laugh and call their friends around to see before they realize the truth of the tract. They can be left at vending machines, in restaurants and motel rooms by travelers etc…. A sarcastic approach is used to point out the ruinous nature of Doing Drugs. The plan of Salvation on the back is specifically pointing to the only answer for drug addiction, repenting and turning to Christ as your Saviour. The approach used to point out the true nature of Drinking is sarcasms. The plan of Salvation is on the back and specifically pointing to the only answer for alcohol addiction, repenting and turning to Christ as your Saviour. “An ungodly man diggeth up evil, and in his lips there is a burning fire” Prov 16:27. 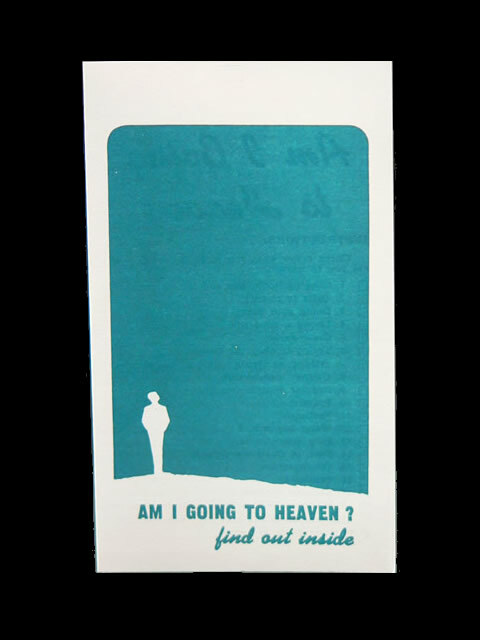 This tract presents 10 good reasons to quit smoking and a call to be saved is on the back. “Thou shalt not take the name of the Lord thy God in Vain”. 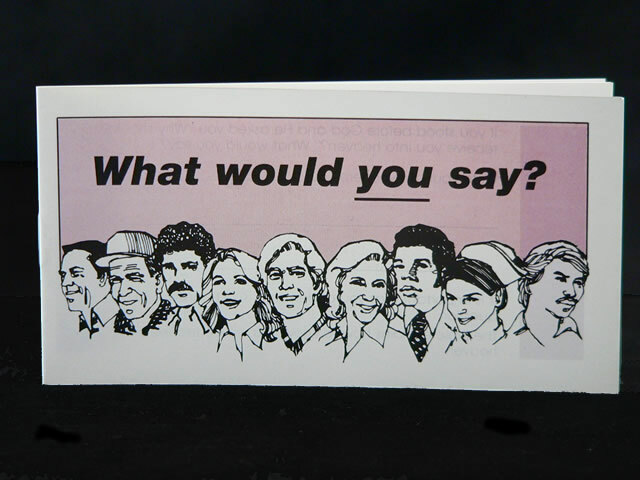 This tract points out the fallacious reasons people use to excuse their swearing and cursing, then they are told how to quit. A Gospel invitation is given. The Crystal clear teachings of the Word of God will not allow the serious Bible student to embrace the doctrines of the JW’s. Fifteen of their unique doctrinal errors are listed here and examined; there is sound reason why no one may unite with the Witnesses and still hold to the truth of God. This is a good tract of introduction; it makes a check list from the different reasons people believe will take them to heaven then shows the truth through Scripture. There is a good Gospel invitation to be saved, instructions on how to live for the Lord and teaching on eternal security. 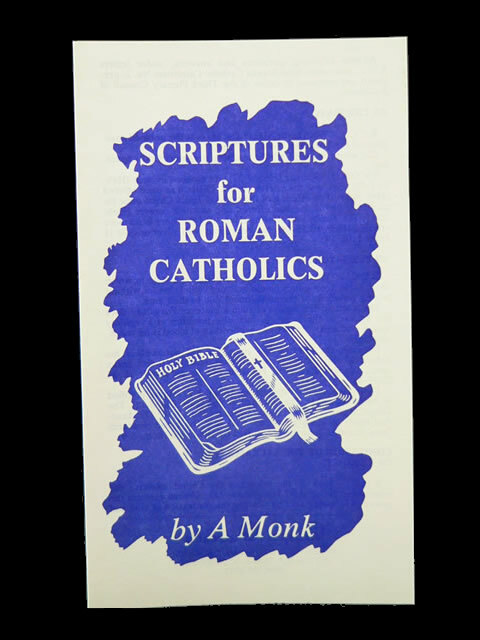 All Scriptures quoted are taken from the “Douay-Confraternity” Version of the Catholic Bible so they can not be rejected by Catholic people. It leads a person through the plan of Salvation from the need, the how, objections, and shows what happens if you reject Christ. 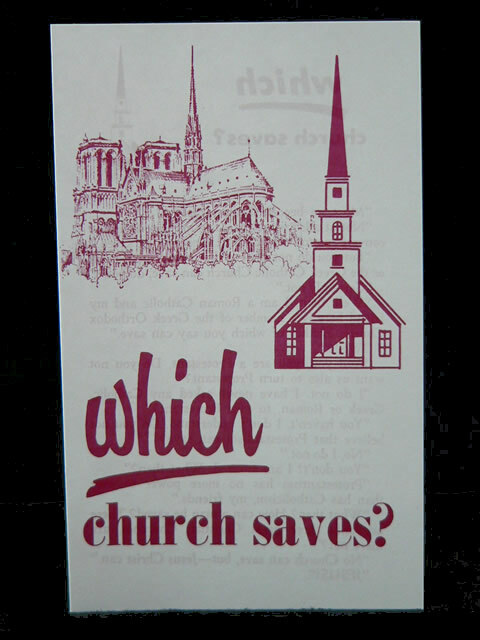 The answer to this question is “No Church saves, JESUS saves.” Most Catholic people look at salvation as being in the right Church this tract addresses that thinking. 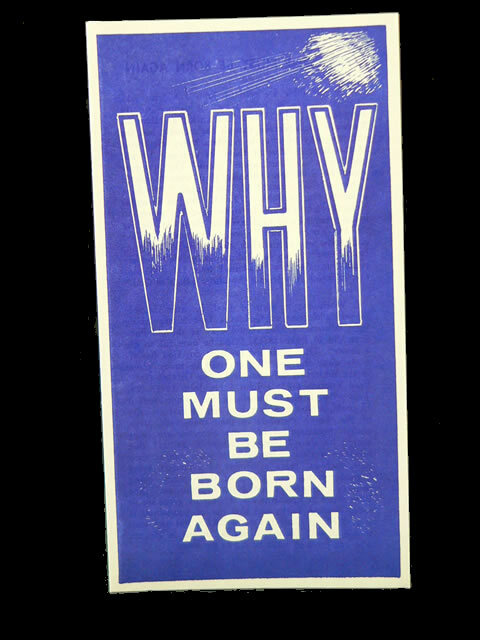 It shows that you must be born again, not of works or rituals but through the grace of God alone. The true Story of how the son of a British preacher from 387A.D. was captured, enslaved, escaped and eventually returned to Ireland to preach the Gospel. 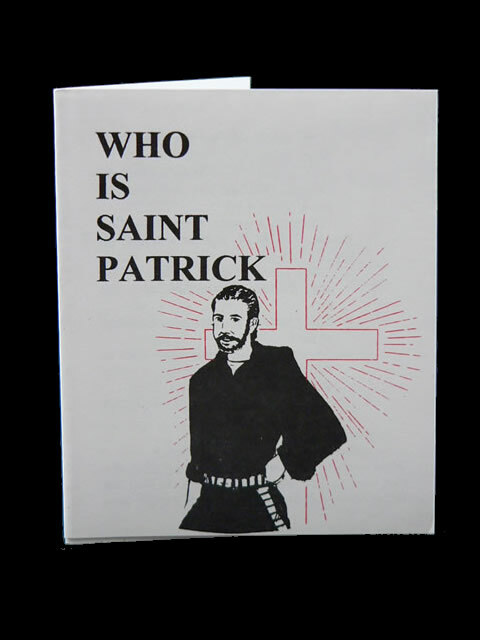 A good Seasonal Tract. 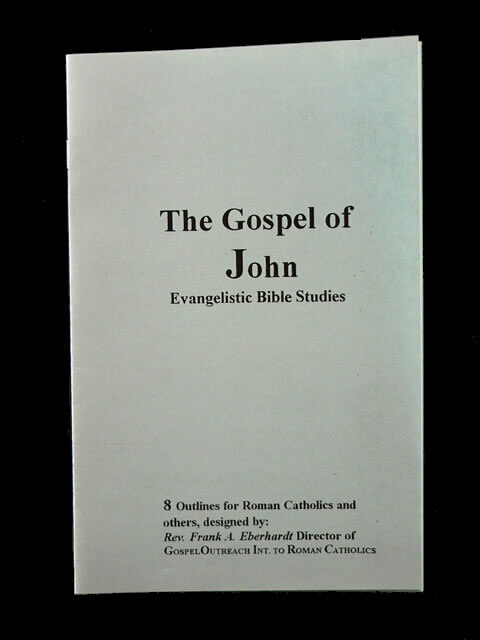 This is an excellent presentation of the Gospel, it is very thorough and yet simple and understandable. 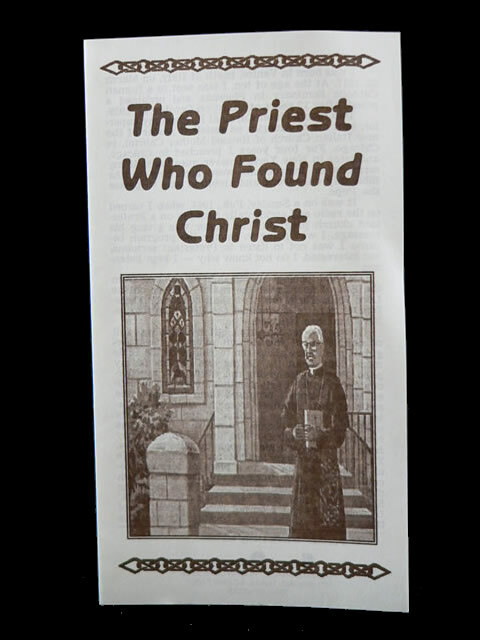 Use this tract for first contacts or door to door evangelism. It shows salvation as the Gift of God and not of works, it deals with sin and repentance, Baptism, accepting Christ and why one must be born again. 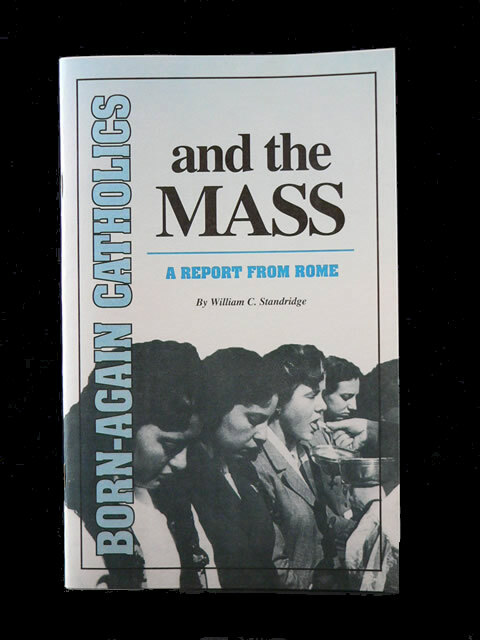 This was written for three types of people: professing Roman Catholics, non Catholics and those interested in understanding the phrase “Born Again.” He deals with True Salvation, Charismatic Catholics and their love of the Mass. Standridge gives a Biblical response to these people. 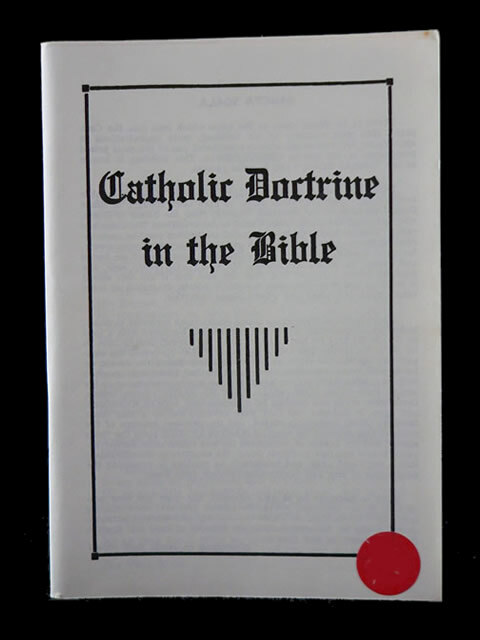 Detailed explanations of 12 major doctrines of Catholicism quoted from official sources and Cannon Law. Each section concludes with a study of the Scripture on that doctrine. 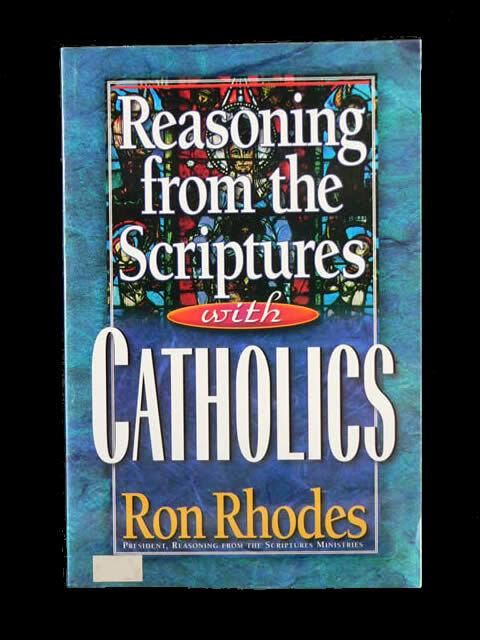 Useful in learning what Catholicism teaches and for Roman Catholics who are questioning the truth, 91 pages. The One World Church is a prophetic theme being encouraged by Rome today. Evolution, Ecumenism and Reconciliation are being promoted with the Catholic Church at the forefront. The booklet shows this urge for unity is both religious and political having World Wide repercussions. Since Salvation is based upon the teaching of the Bible it is important to prove the truth of God’s Word. 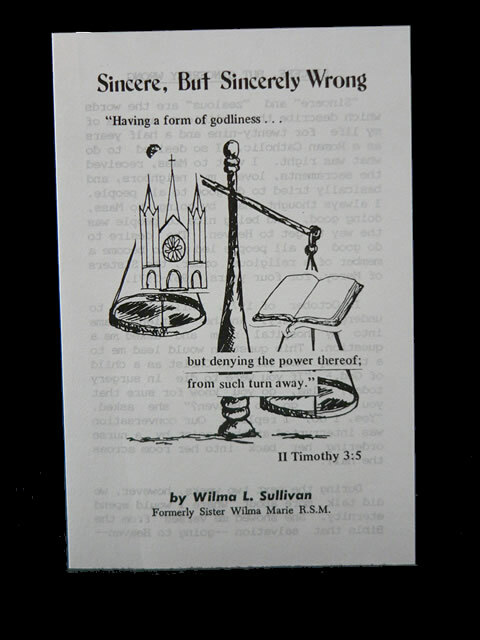 This booklet offers common sense, mathematical evidence and prophecy to show the Scriptures validity. 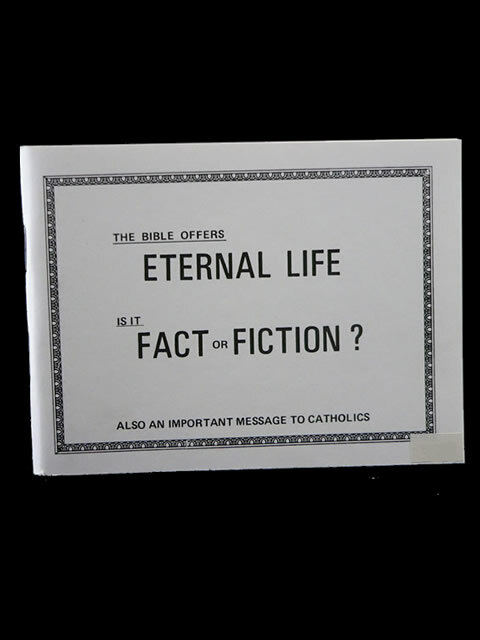 Then it teaches how to have Eternal Life and includes a important message to Roman Catholics. The 8 miracles in John’s Gospel were written that we may know Jesus is the Saviour. 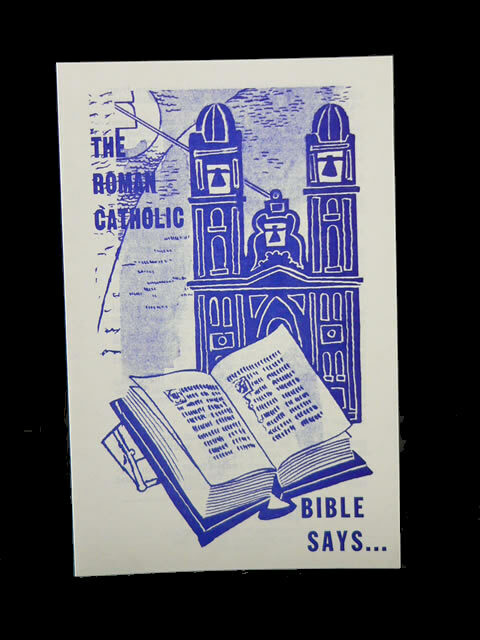 These are loose outlines designed with Roman Catholic people in mind. They will give you a starting place for a Bible Study or a discussion about Salvation. He was raised in the movement and became a Charismatic preacher. He studied and learned the Biblical position on: speaking in tongues, a second baptism, the filling of the Spirit and cackling like a hen. 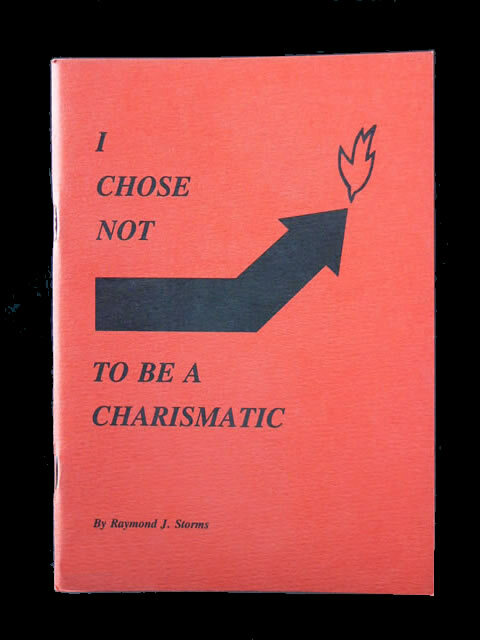 He’s now fundamental and includes in the booklet 8 reasons you should not be a Charismatic. In 1993 he changed his stand on the Catholic Church, this has shocked many Christians. 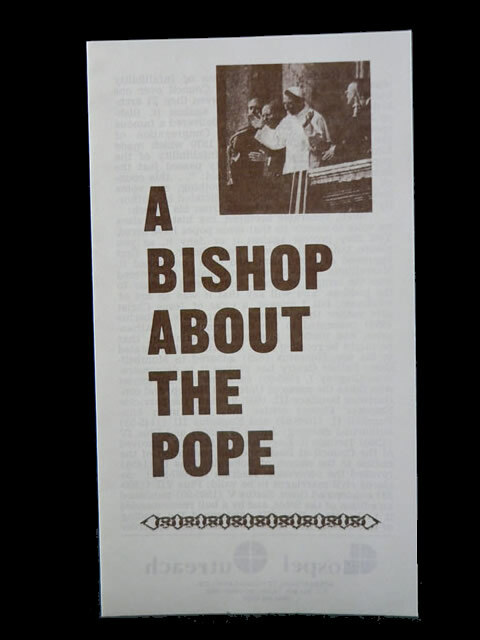 We have reproduced and condensed an 11 page letter discussing Catholicism, his reply and advertising for his book (John Paul II) to show his current position on Catholicism is not Biblical. By William J. Hopewell, Jr., D.D. Hopewell shows a scripturally based position and a heart of concern for those facing the agonies of divorce. He deals with remarriage and church leadership using Biblical principles and patterns and sound reasoning. This 28 page booklet is good to have in your library. 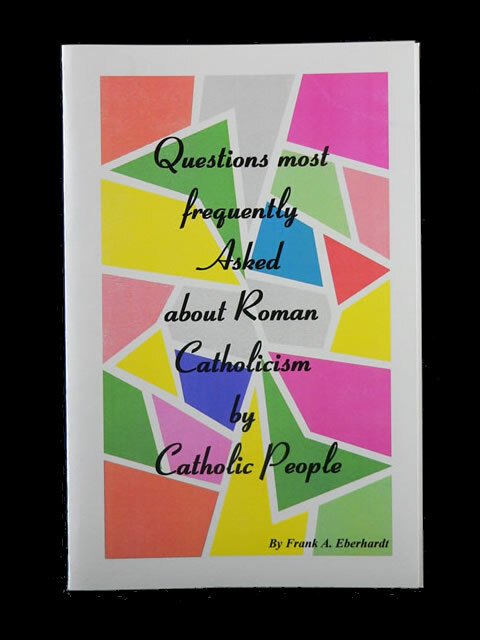 Over the years we have been asked many questions about Catholicism, in this 28 page booklet they are placed in categories and arranged by order of importance. 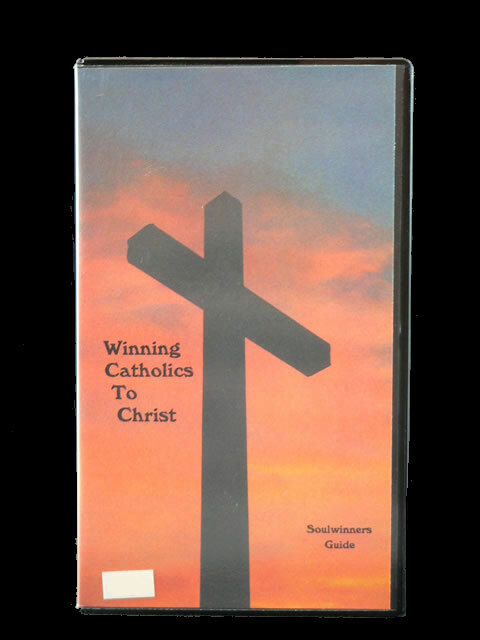 This booklet helps you understand Catholicism and is a good tool to make Catholic people think. Answers are Biblical and historical. 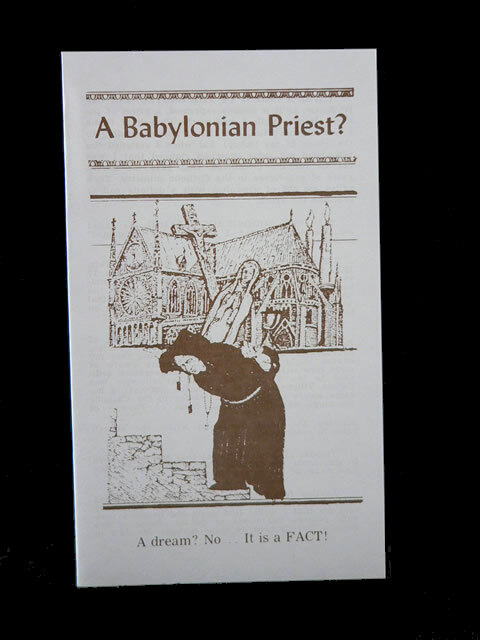 This tract sized color leaflet shows how the New Catechism of the Catholic Faith 1994 Ed opposes the Catholic Bible. 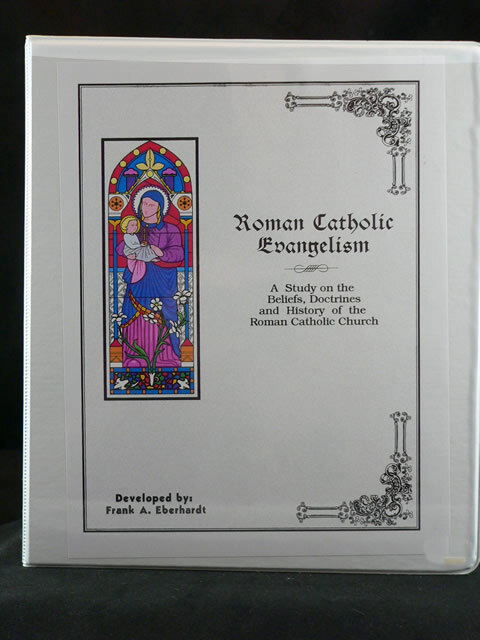 The 16 panel foldout contains a doctrinal time line, a glossary of Catholic terms and a Gospel presentation. This outlined Bible study on marriage and divorce deals with the hard questions and objections often raised in favor of divorce and remarriage. 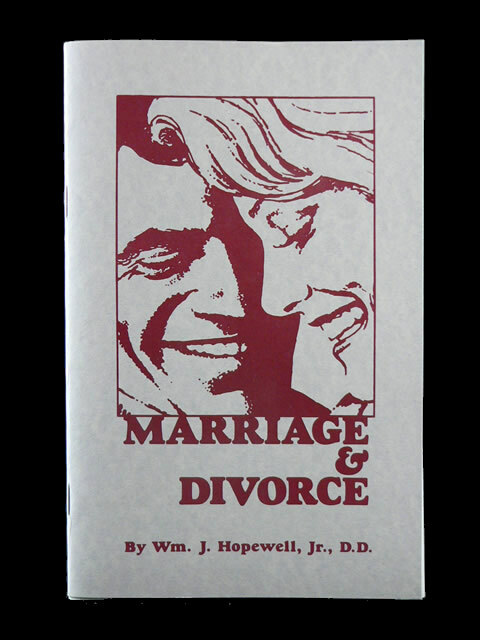 The Biblical testimony of marriage and the ramifications of divorce and adultery are discussed in this booklet. It gives us something to think about. 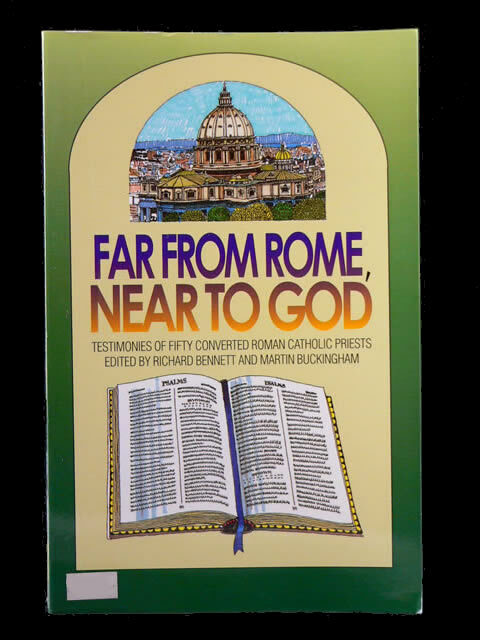 This is a one of a kind resource for explaining the Scripture to Roman Catholic’s. 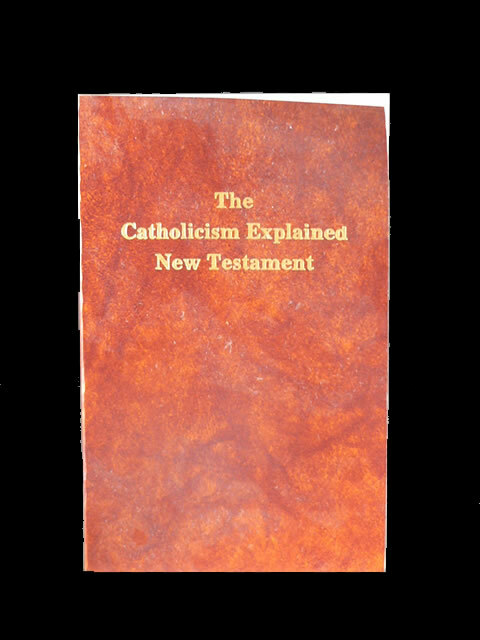 Verses used by the Catholic Church to prove their doctrinal positions are noted with an explanation in the paragraph style text of this New Testament marked by parentheses and italics type. 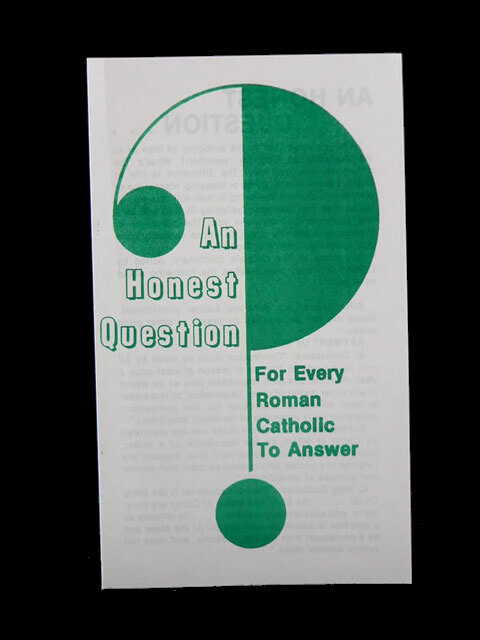 A 33 subject cross reference system in the back helps you with Salvation and quick verses about Catholic teaching and there is the booklet Questions Frequently Asked About Roman Catholicism at the back. 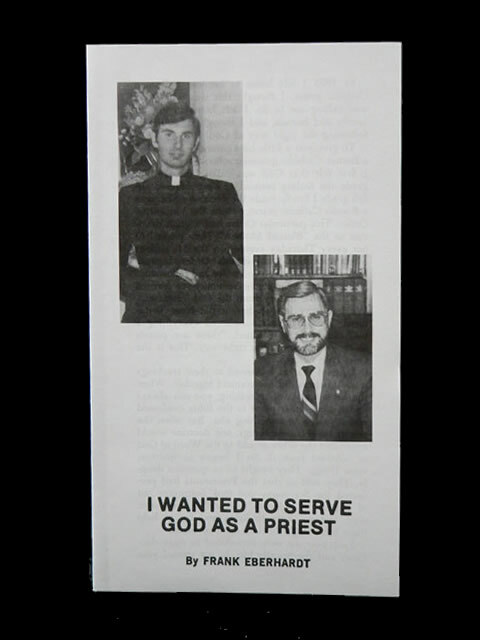 Here is a beautiful, moving true story of a priest who could not remain Roman Catholic. As a child he memorized Scripture and as a priest he tried to reconcile the Scripture to the church which claimed adherence to the Gospel, yet violated it at every turn. Being falsely accused by his jealous superiors he was defended by the young lawyer Abraham Lincoln, which began a life long friendship. Struggling with obedience to the Church or trust in the Scripture he was saved and left Catholicism. This is one of the finest works ever written on Catholicism from someone on the inside. You sense his broken heart even as he refutes the errors of the Catholic Church. By Joseph R. Schofield, JR. This book is not about Purgatory but escaping it. 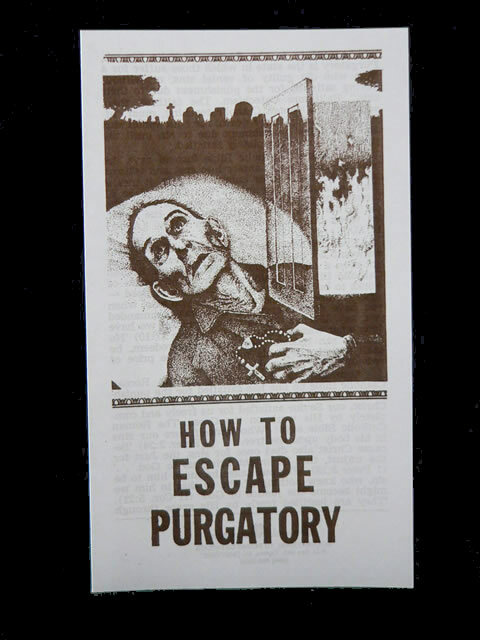 The best way to avoid Purgatory altogether is to know the TRUTH of the SCRIPTURE. Catholicism and its doctrine are clearly and accurately presented with good arguments from the Scripture and the inconsistencies of Catholic doctrine. This book is hard to put down because it is well written and full of valuable information for Christians and Roman Catholics. Salvation is prominent throughout this book. 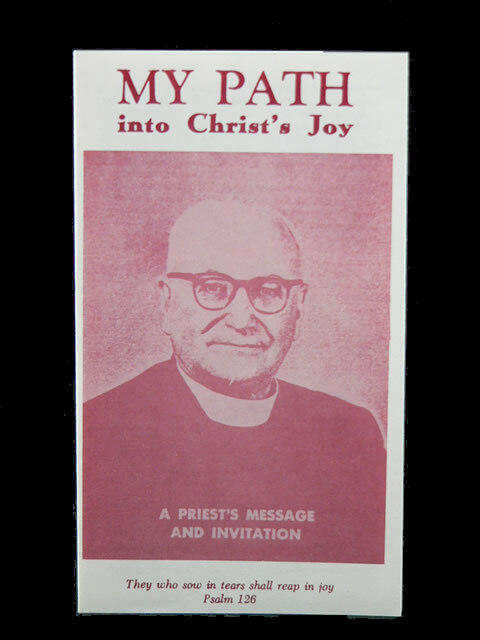 Here you’ll find the moving testimonies of fifty priests who found their way, by the grace of God, out of the labyrinth of Roman Catholic theology and practice into the light of the gospel of Christ. 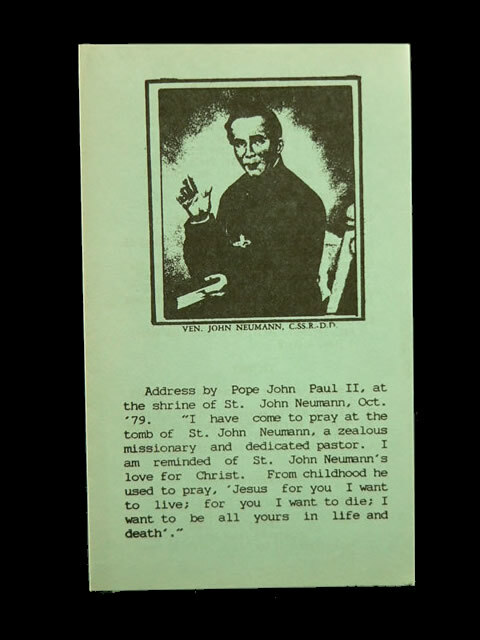 It is not limited to the controversies between the Scripture and Romanism; the love and concern these ex-priests have for all those in need of the love of Christ is seen in their clear presentation of the Gospel. This is a good book for those searching for salvation. This book provides a side-by-side comparison of Scripture with the first world wide Catechism in 400 years. There is a summary of modern Catholic views about grace, works, heaven and more with a balanced overview of how the authority and structure of the Catholic Church compares to the New Testament Church. It shows how participation in the Mass and sacraments is inconsistent with faith in Christ. This is a book you need in your library. For a thousand years the people of God have honored Him through the observance of the Passover. Since the Resurrection Christians have honored the words of Christ’s “Do this in remembrance of Me” as the Lord’s Supper. With modifications over the centuries the Lord’s Supper has been changed from a remembrance to a sacrifice, and from a waiting for the Lord’s return to the Adoring of the Eucharist and the worshiping of an image which God clearly forbids. 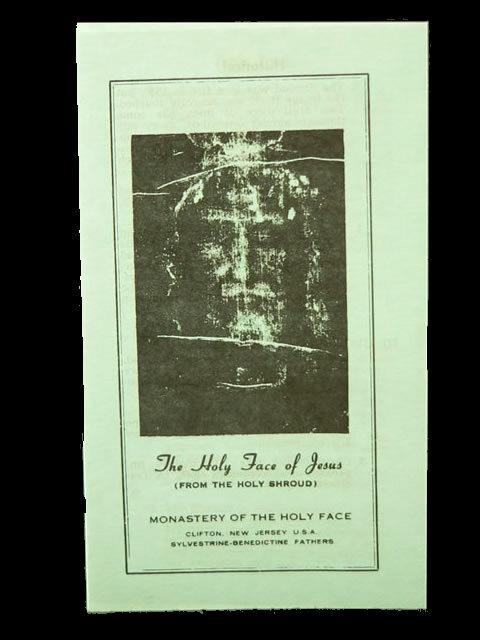 You’ll be surprised at what lies behind this enduring tradition of the Roman Catholic Church. Some old books gather dust and disappear from public view. Some of them contain vital information, as this book does. Throughout history God has called men like Savonarola, Huss and Luther, out of Roman Catholicism to explain the truth that Salvation is in the Lord not the Church. 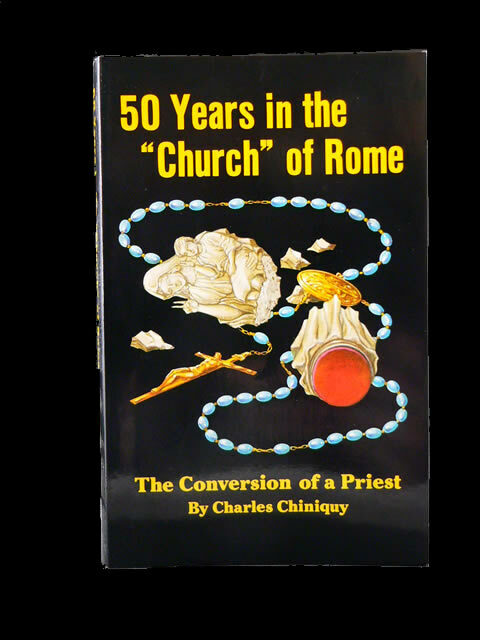 The Catholic system will not change and the activities Chiniquy describes in this book are still going on today. May this book open your eyes to the difference between Religion and true Christianity. 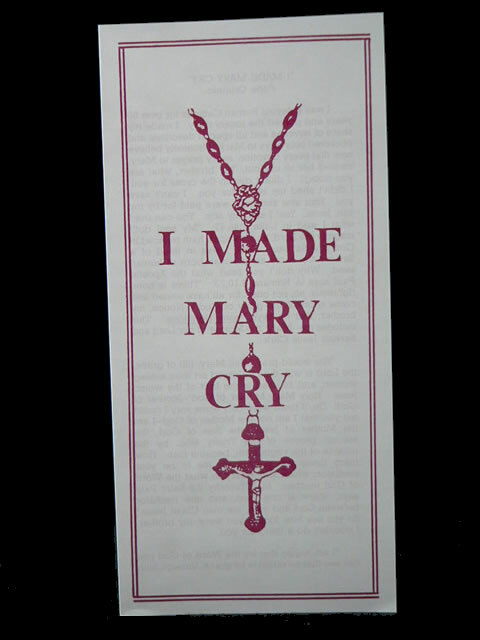 A must have for those involved in Mary, in 1206A.D. she is quoted to say, “One day through the Rosary and Scapular I will save the world”. 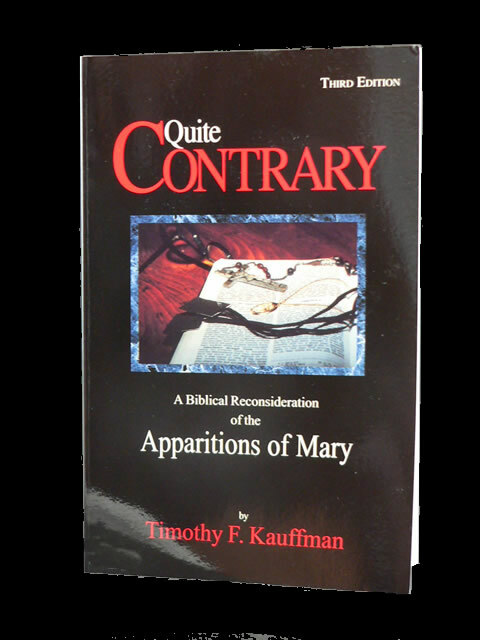 In this book brother Kauffman details his former devotion to the apparitions of Mary and explains why he abandoned the use of all Marian articles. 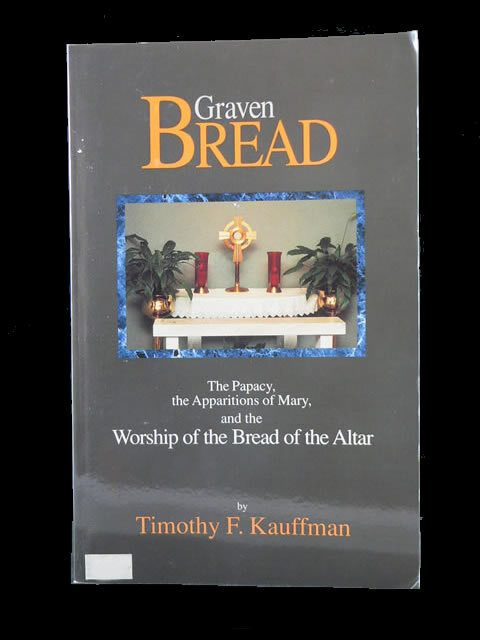 By considering the teachings and rituals of the many apparitions in the world, Kauffman explores- and ultimately rejects- their claims in the light of the Scripture. 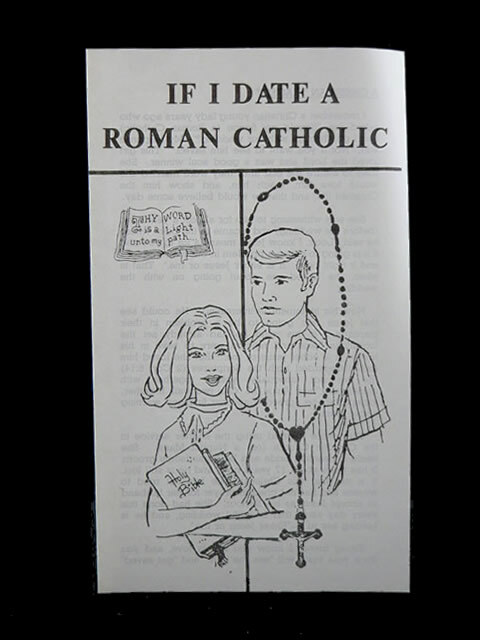 This is a step by step guide to sharing the good news with Roman Catholics. If you are interested in sharing the gospel with your Catholic friends or understanding their beliefs more clearly this is the book for you. Using the official Catechism of the Catholic Church and the Scripture he shows how to deal with subjects like tradition, Mary mother of Jesus, papal infallibility, transubstantiation and more. This is an insightful reference book worthy of your library. 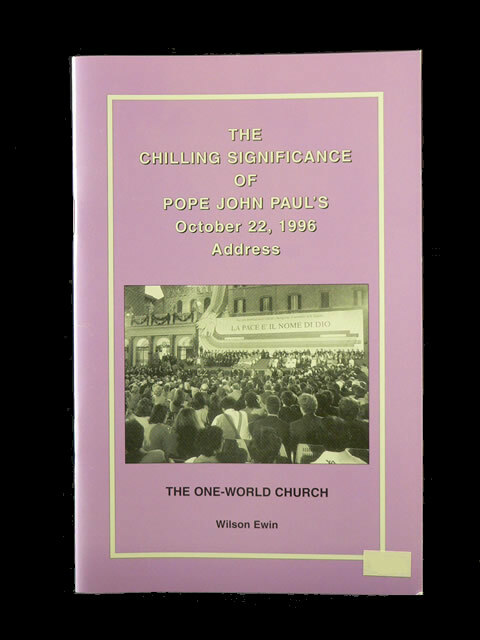 This volume has become a classic treatment on the subject of Roman Catholicism. The book contrasts Evangelical beliefs and doctrines with those of the Catholic Church showing that the Christian Church was here long before Catholicism. Constant reference is made to Scriptural and presented in a language that is easy to read and understand. Although there have been changes in Catholicism this book remains an invaluable resource on the subject of the Catholic Church. 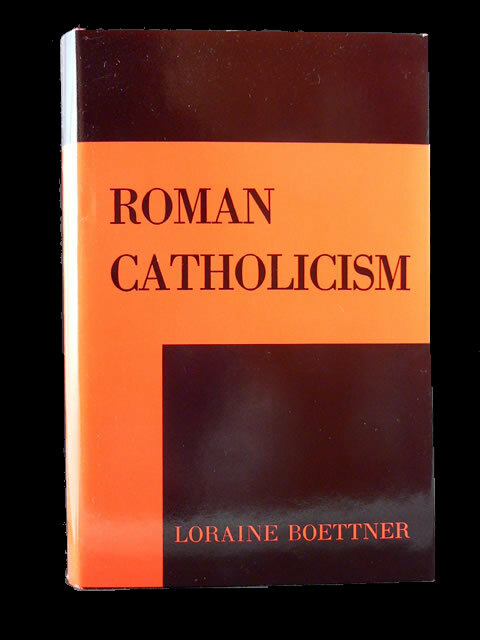 This is a study on the beliefs, doctrines and history of Roman Catholicism. 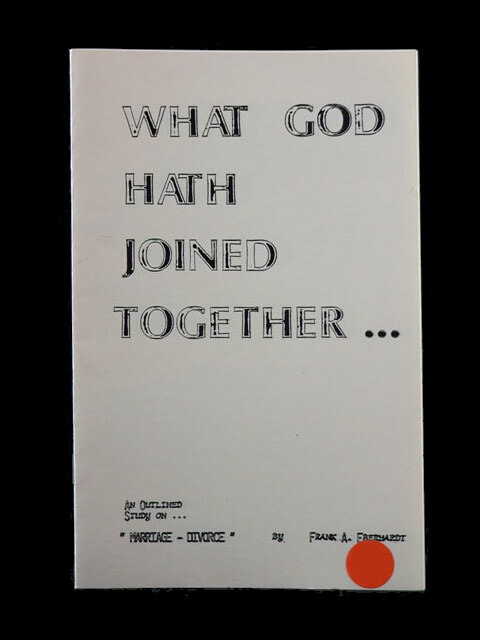 Originally designed for Missionaries and Bible College students it can be used for personal reference or taught in Sunday school or Wednesday night services. 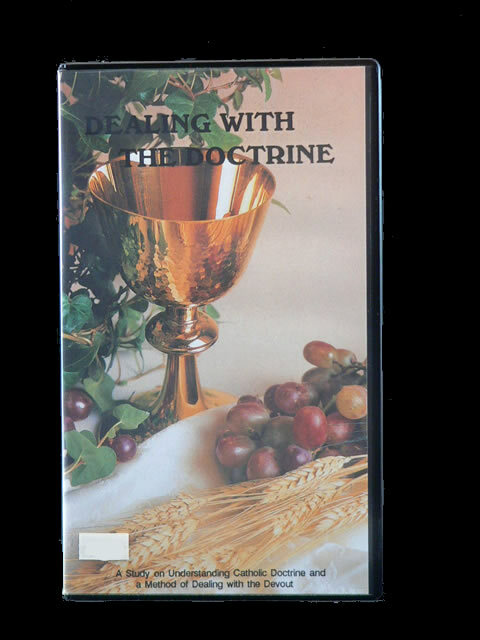 Major doctrines learned by Catholic people are taught then examined through Scripture. 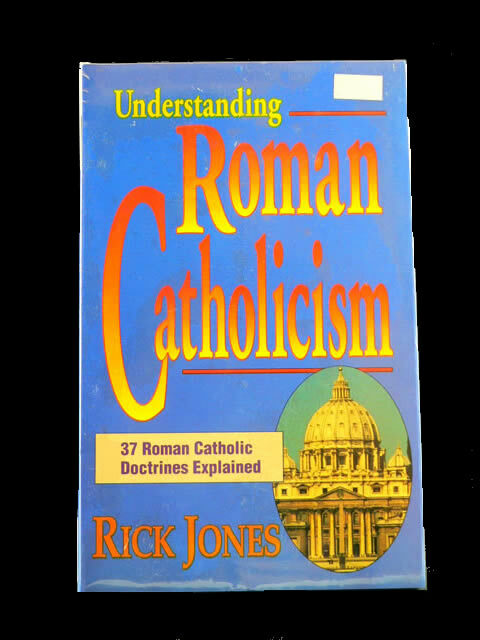 This common sense approach includes an encyclopedic section and an accurate History of Roman Catholicism. Student and Teachers Edition. 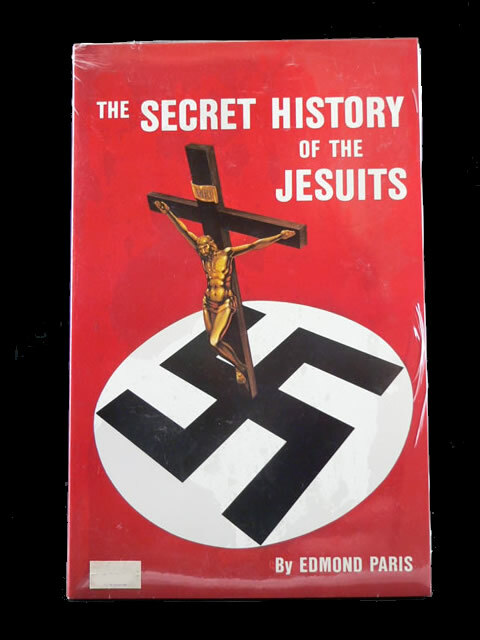 This history is verified by ex-priests, secular historians and documents from Europe alike. Paris exposes the Vatican’s involvement in world politics, intrigues, and wars through out history. The doubt grows as to whether Catholicism was ever a Christian Church. With a good exposition of Revelation 17 and 18 it will help you commit yourself anew to leading precious Roman Catholic people to the true and living Christ of the Bible that their souls may be saved. 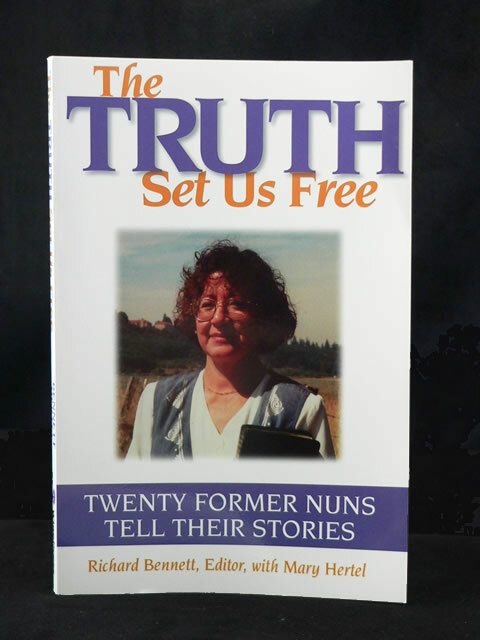 This is the story of a Catholic nun’s search for truth and peace. 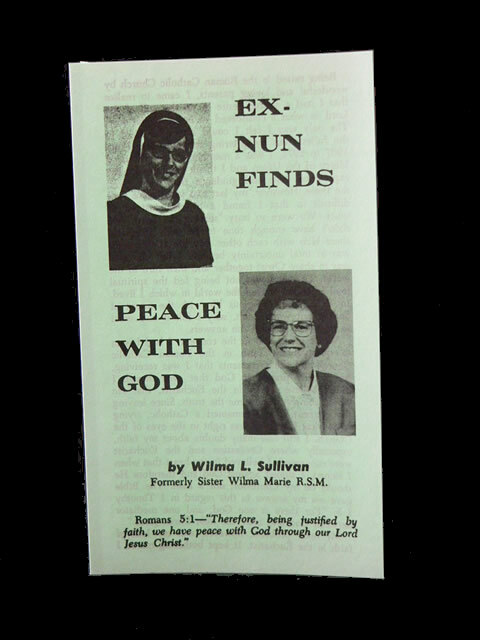 When Wilma’s serving attitude and spirit led her to join the Sisters of Mercy, she thought she had found her goal, but soon the ideals were stripped away leaving her searching for answers. She found those answers in God’s Word and soon converted to the Saviour and His will for her life. Wilma is now involved in a ministry for woman with responsibilities in counseling and speaking. “This is one of the great books of Christian literature and apologetics. 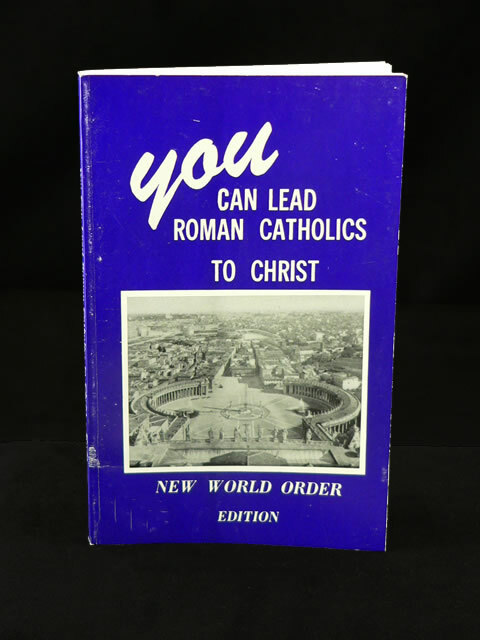 It has a wealth of information and argumentation on Catholicism all foot noted and verified. The author demonstrates that almost all the practices of Catholicism have been brought forward from paganism. The veneration of Mary and the worship of images are from ancient idolatry and they are all increasing today. 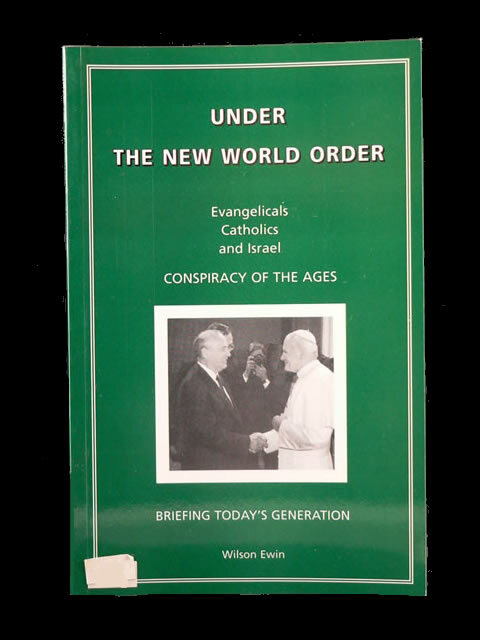 By all means circulate this book.” This is the forward of Dr. Donald Grey Barnhouse, D.D. Many today call evil for good and good for evil ignoring the facts of Scripture and history. These are treacherous days when the world needs sound gospel preaching to overcome the darkness of sin and idolatry fostered by Catholicism in their attempt to create a world wide unity among religion and politics. 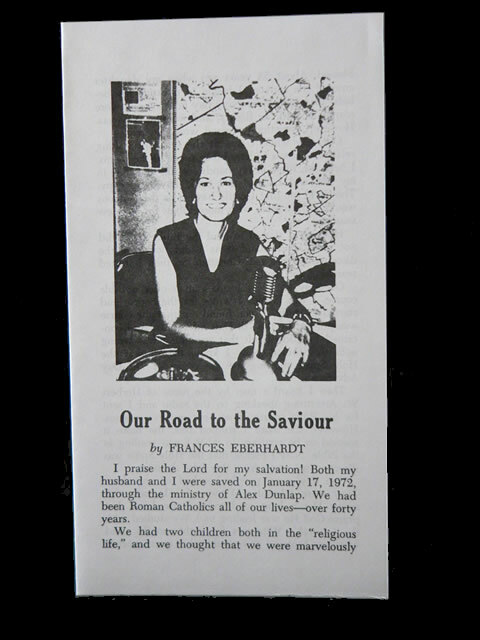 Documents and photos show the inroads that have been made since the early 1970’s; Catholics Evangelicals and Israel are at the forefront of prophecy. 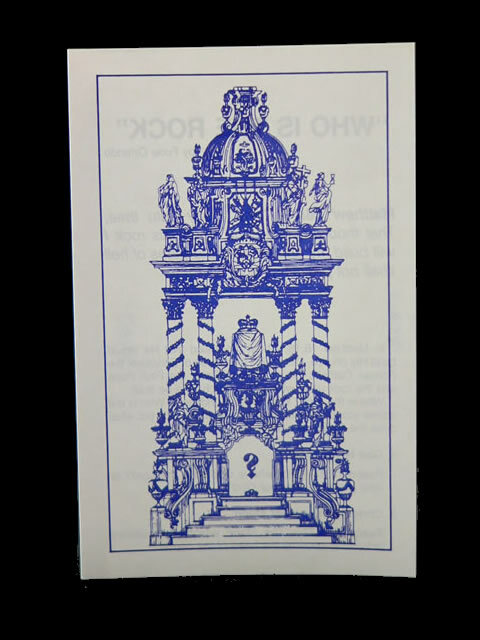 Is Roman Catholicism Christian? 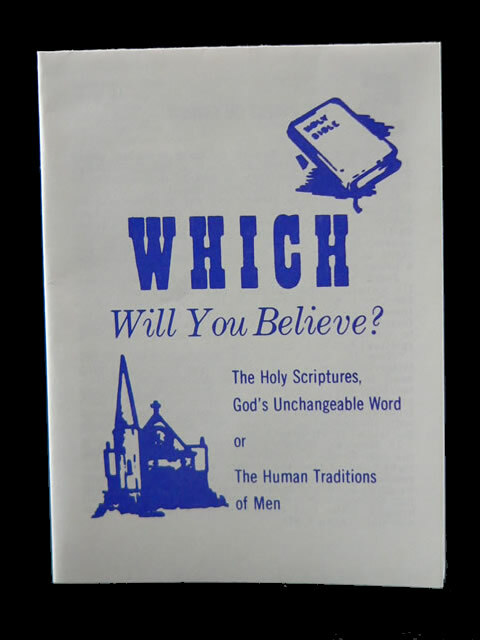 The answer can be found by comparing the doctrines of the 1994 Catechism of the Catholic Church with the Holy Bible. 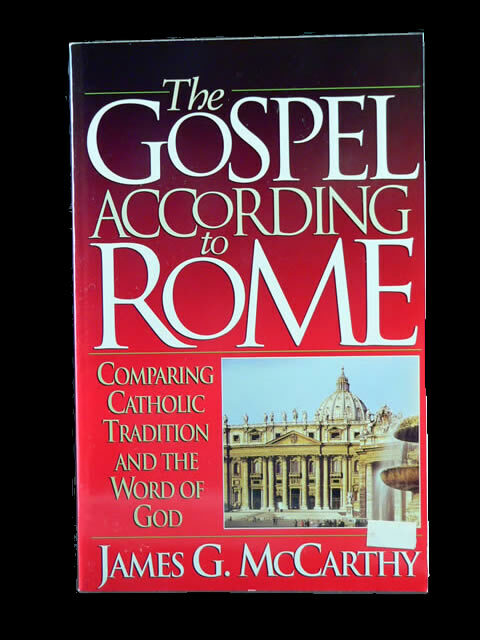 The author a former Catholic performed an exhaustive study of the 803 page Catechism and explains and compares 37 Catholic doctrines with God’s Word. Is your destiny in the hands of the Catholic Church? You need to open this compassionate yet explosive book. See for yourself then give it to your friends. The Vatican plays a vital part in world history, politics and Biblical Prophecy. She is now involved with Russia and the United States, historically she goes with the winner. Rome is fomenting revolution through out Latin America and using immigration to flood this nation with Catholic devotes. Once Christians are aware they must seek to win these people to Christ. 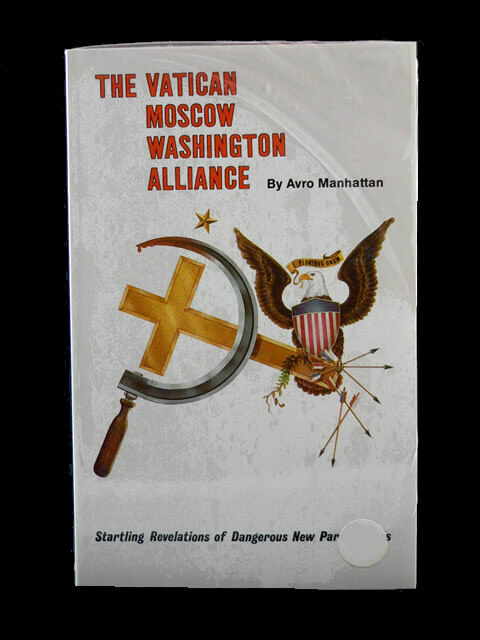 Avro Manhattan is one of the world-renowned authorities on Roman Catholic activities. Dedicated to the salvation of dear Roman Catholics whom I love and for whom our Saviour died and shed His blood. Many Catholic people today are hungry for truth having been deceived and exploited. When a Roman Catholic comes to salvation they give outspoken testimony of God’s grace and seek to win others still in the system of Rome. This book will help you reach these precious souls while helping you recognize the spirit of Antichrist which is in the world today. 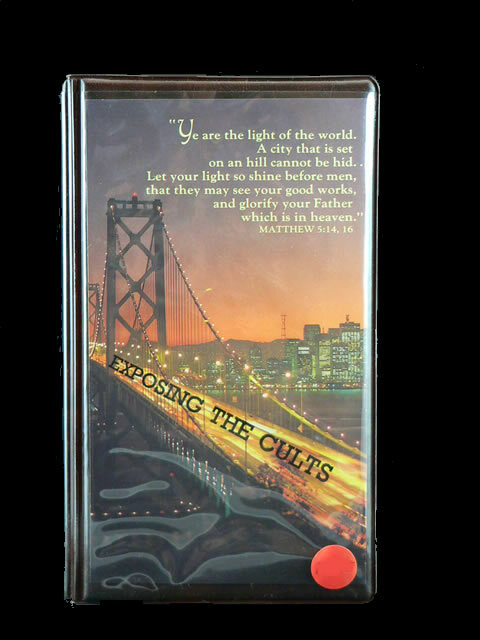 By Frank A. Eberhardt Practical helps in this seminar with 4 audio cassettes and booklet on the basic beliefs of the Jehovah’s Witnesses, Mormon’s and the New Age Movement. This includes the 7 Point Test to determine what makes a Cult. 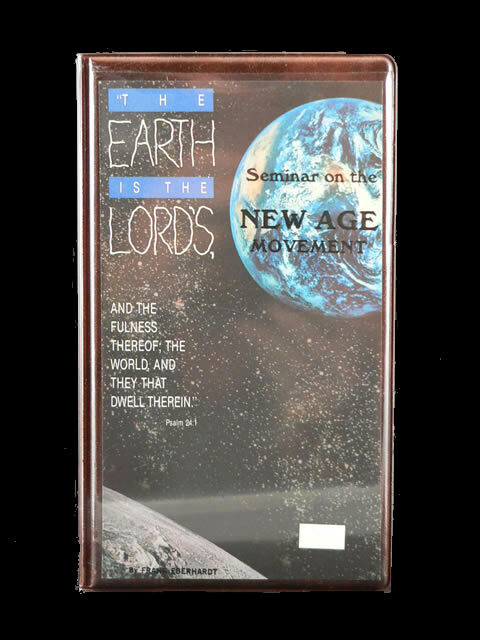 This 3 hour 2 audio cassette seminar with booklet examines the infiltration and destructive practices and doctrines of the New Age Movement from a Biblical perspective. This is the second of two seminars on Catholicism. 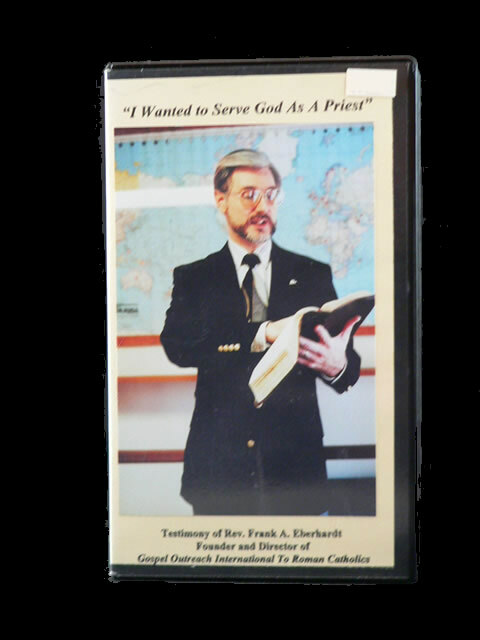 This 5 hour seminar on 4 audio cassettes with accompanying booklet trains Christians in 8 well known Catholic doctrines dealing with them from Scripture. 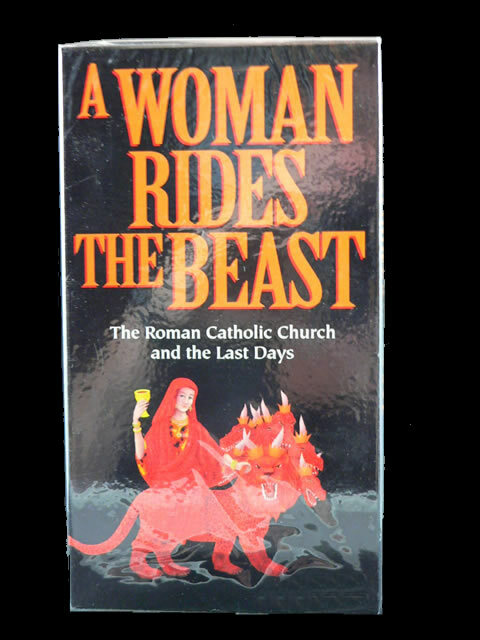 Most of the discussion of the end times focuses on the Beast, Antichrist, but there is another figure in prophecy, the Woman who rides the beast. Who is this woman? Biblical truth and global events present a portrait of this woman and Revelation gives us 10 clues which will prove the woman’s identity. 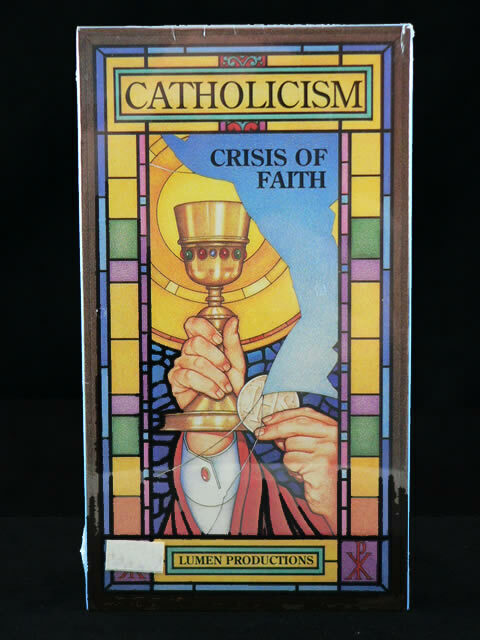 What is the cause of the present crisis in Catholicism? Investigate the teachings of Catholicism and compare them to Scripture. Follow the spiritual journey of devout priests and nuns who courageously faced a crisis of faith and emerged with a life changed by Christ. This is the best film of its kind today. This is the story of how he and his family searched and found truth in God’s Word and Salvation in Christ. Through the Scripture, compassion and humor you begin to see as they did that we must examine yourself whether you are in the faith and not trust in a Church; for faith cometh by hearing and hearing by the Word of God.